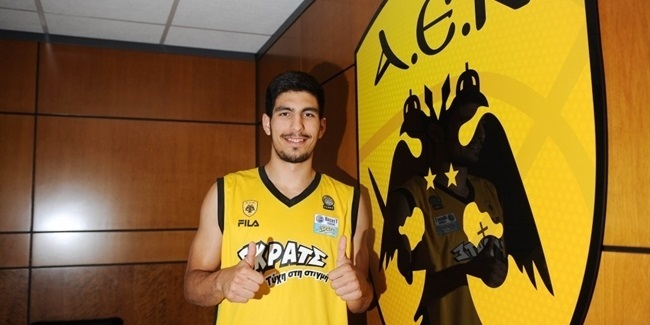 AEK Athens added much-needed experience by inking veteran shooting guard Ioannis Kalampokis to a one-year deal. Kalampokis (1.95 meters, 37 years old) arrives from A.G.O. Rethymno Aegean, where he averaged 8.3 points and 1.6 assists in 28 Greek League games last season. He already played for AEK in the 2005-06 season, averaging 7.4 points in 13 Euroleague games. Kalampokis started his career with Faliro and has played for several other Greek teams, such as Olympiacos Pireaus, PAOK Thessaloniki, Panionios Athens, Ikaros Kallitheas and VAP Kolossos Rhodes, as well as for ALBA Berlin of Germany. Kalampokis has also been a member of the Greek national team, helping it get a bronze medal at EuroBasket 2009. 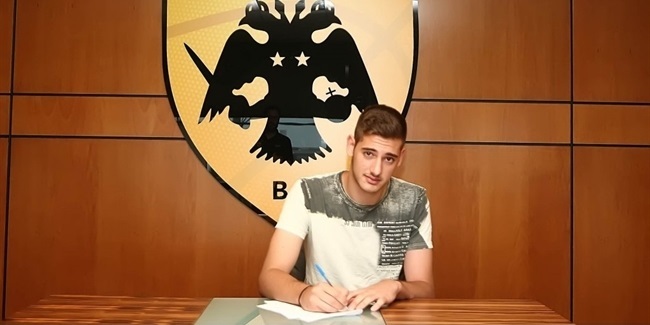 AEK will be his third Eurocup team, after PAOK and Panionios.